BlackBerry Curve 9300 First Pics | BlackBerry Blast! 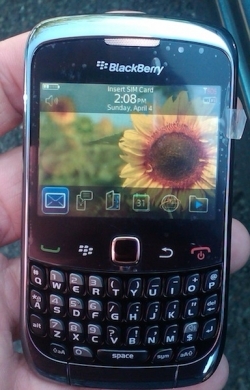 The first pictures of the upcoming low cost BlackBerry Curve 9300 have been published. CrackBerry first outed the device when they found a UAProf xml document on BlackBerry's website, and now they've published the first picturess of the Curve 9300. The BlackBerry Curve 9300 will be a refresh of the Curve 8500. RIM is adding 3G and WiFi to the 8500 specs. The 9300 will keep the same low resolution display at 320x240. The leaked pics show the device running OS 5, but the hope is that by the time this 9300 comes to market it will be running OS 6.0.